Phentatrim isn’t sold in Holland and Barrett, or Superdrug or Walmart.. or in any retail outlet for that matter. You are so much better off purchasing Phentatrim (and products like it) directly from the manufacturer as the customer service department is more adept at fielding specific questions. No offence to retail workers in health product stores but it’s impossible to have expertise on everything. Phentatrim is a diet pill developed and distributed by Optimum Nutra. The company is also responsible for creating Phentaslim. Both products are very highly rated and have already helped hundreds of thousands of people to lose weight. However, the fact that Optimum Nutra has been so successful with its previous formulations does not guarantee their ability to create another winner. Will this formulation really turn out to be the “lean-belly breakthrough” the company claims? That’s the question a lot of our readers have been asking lately, so we decided to take a closer look at Phentatrim and see if the promises made for it are likely to hold water. If you want to loose weight you need to consistently consume less calories than your body needs. This forces the body to start burning its fat. It can also make you feel very drained and tired and incredibly hungry. Phentatrim is designed to ease the process of weight loss by suppressing hunger urges, boosting energy levels, and helping make sure the body burns the calories it does get from food in a fast and efficient manner. In theory, the product should work well, but good results will require the right combination of ingredients. So the next thing we need to look at is the Phentatrim formulation. We have to say we are impressed. The Phentatrim formulatiom looks very good indeed. Konjac Root (3000mg): Also known as glucomannan, konjac is a high fiber root extract that’s extremely absorbent and can soak up many times its own weight in water. When good quality konjac supplements are taken with the correct amount of water the fibers expand in the stomach and make it feel full. Konjac is one of the best appetite suppressing ingredients known to man and its abilities as a weight loss provider have been evaluated and endorsed by the European Food Safety Authority (EFSA). 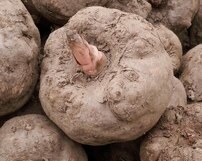 Unfortunately the presence of glucomannan in a supplement does not always mean it will work. According to the EFSA, the effective glucomannan dose is 1000mg and this amount must be taken three times per day, before meals, with one or two glasses of water. When glucomannan is used in this way users obtain the maximum benefits and the best weight loss results. The amount provided here is just right. Chromium (24µg): An important mineral that serves a number of roles in the body and is particularly important for helping to maintain correct insulin and blood glucose levels. 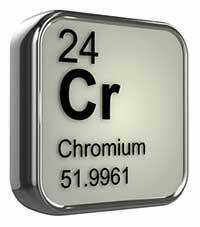 Chromium works alongside insulin and helps the body extract energy from food and deliver it to the cells. Chromium is also good for preventing sugar urges, but chromium deficiency is very common, so Optimum Nutra’s decision to add it here makes a lot of sense and it presence should help boost energy levels and prevent the onset of dietary fatigue. Iodine (90µg): Many people don’t get enough iodine in their diet and the knock-on effect of this is often a retarded metabolism that burns calories so slowly it becomes very easy to gain weight and incredibly hard to get it off. Iodine is important because the thyroid gland uses it to manufacture the thyroxine and other “T-hormones” that govern the metabolic rate. The presence of iodine in the Phentatrim formulation should boost the metabolism and help keep it running in top gear, thereby helping the body to burn calories faster and encourage the need for fat burning. Usage Guidelines – Optimum Nutra stress the importance of taking three doses of Phentatrim per day, with one to two glasses of water, half-an-hour before meals. This is what the EFSA recommends, so Optimum Nutra gets top marks once again. Customers who want to further improve results are advised to use Phentatrim as part of a structured weight management routine that includes a low-calorie diet and regular exercise. Phentatrim customer reviews are first-rate. Even the best products get an occasional negative review from time to time, but in this case nobody appears to have a bad word to say. No side effects have been reported, but it always makes sense to ask a doctor’s advice before embarking on a new weight management program or using any brand of dietary supplement for the first time. This is especially important for people who have existing health problems, for pregnant or nursing mothers, and for anyone who is using medication or planning on using two or more supplements alongside each other. 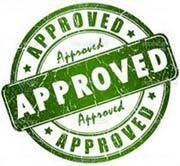 Phentatrim is sold with a 60-day money back guarantee. 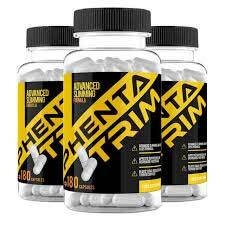 The appetite suppressing ability of Phentatrim should be excellent because it contains a very good hunger suppressing ingredient, included in an effective amount, and Optimum Nutra have laid out usage instructions that further ensure users obtain the maximum amount of appetite suppression. Admittedly, there are a number of other products on the market that provide the correct amount of konjac, but Phentatrim has an edge that they do not. The product’s ability to ensure a fast metabolism means people using it will experience a calorie shortage that is far greater than those using a bog-standard glucomannan product. The result of this is they will burn more fat and burn it faster. Customer reviews show this is the case and also indicate the formulation’s prowess as an energy booster. Is Phentatrim really a “lean-belly breakthrough”? We are sure that it is and are happy to give it a place on our list of recommended weight loss products. 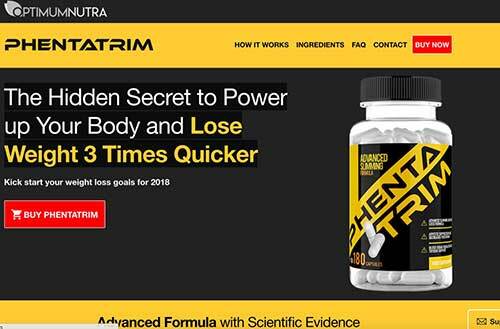 Optimum Nutra has created a special Phentatrim website that provides in-depth information about the product, along with a number of purchasing options. Each bottle is capable of producing a weight loss of up to 10lbs in 30 days, but Optimum Nutra recognize the fact that some people have a lot more weight to lose and have set-up a number of bulk-buy packages and there are some very good deals available.